Off Road Truck Simulator is a free truck simulator game for Windows 8 and 8.1 which allows you to play with off road trucks on your device. 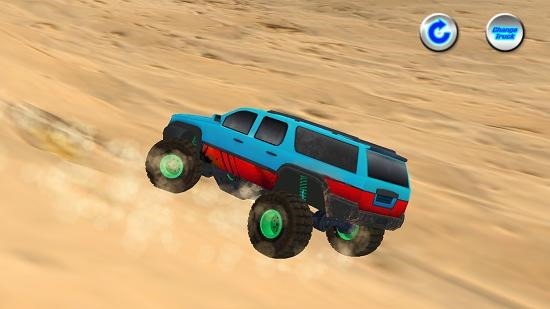 The game features monster trucks with big tyres and these can be driven around with the standard WASD control set. The game is lightweight and weighs in at under 50 Mb size, making for a fun way to ensure that you stay entertained while having fun. The game works smoothly on devices with low end specifications too, and is completely ad free. Off Road Truck Simulator is available for free from the Windows App Store. Head over to the Windows App Store by clicking on the link attached at the end of this article and install the app on your device. When that’s been done, simply click on the app’s icon in the Start Screen and your game will start up as shown in screenshot below. The above screen can be skipped by clicking or tapping anywhere on the screen (in case of touch devices). 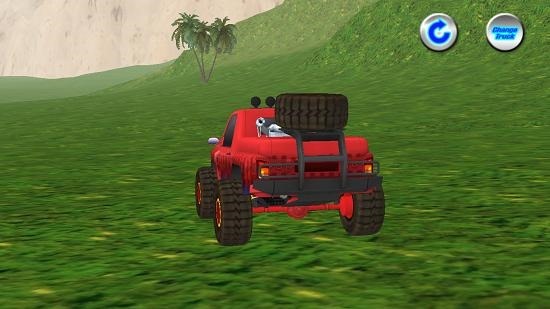 When you click on the above interface, the simulator starts up with the off road truck on your screen. The gameplay is shown in the screenshot above. The game has over 5 trucks that can be switched between by clicking on the Change Truck button at the top right corner of the screen, and you can also click on the rounded arrow button to get a new truck of the same type if you find yourself stuck somewhere. The app also has a variety of environments which are really amazing to say the least. You can check out the desert terrain in the screenshot above and the grasslands in the below screenshot. You can also see that I have changed the truck in the screenshot below. This brings us to an end of a very brief review of Off Road Truck Simulator game for Windows 8 and 8.1 devices. 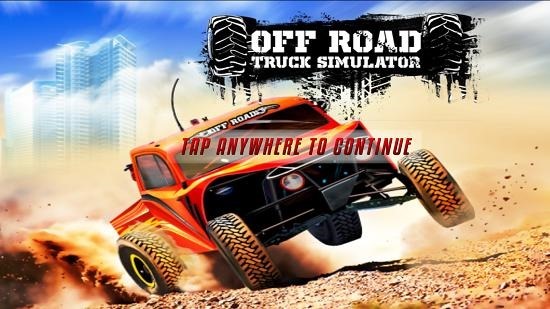 Off Road Truck Simulator is a nice simulator for Windows 8 and 8.1 which you can grab for your device from the below link. Get Off Road Truck Simulator.